Our kennel is located in the Pacific Northwest between the Seattle and Tacoma area. 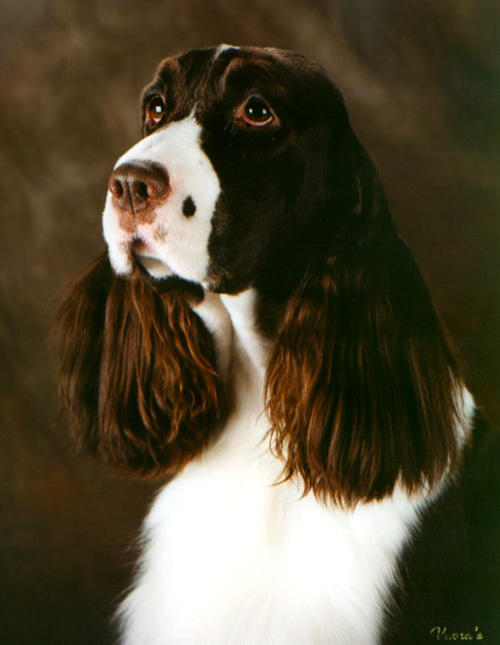 We are breeders of top ranking Show quality bench bred AKC Champion English Springer Spaniels. The quality of our puppies gives them the ability to become accomplished Show Champions and or beautiful family members and companions. Our puppies are AKC registered litters. As responsible breeders we limit the number of our litters to ensure that our puppies receive the best start we can give them. The litters are born and raised in our home. They are socialized and handled from the moment they are born. Their friendly confident temperament is important to us as breeders and obvious when you meet them, we strive for this. We send pictures of the puppies to our prospective families as they are growing up, these emails are looked forward to by those who receive them. Our puppies have been placed in many homes around the country; we can be very helpful in making these arrangements. Our kennel has been honored to have several of our young dogs be placed with Junior Handlers who have had many wonderful achievements. We are hoping to see the results of their quality in performance events in the future. If you are interested in learning more about our upcoming litters or available puppies please fill out the inquiry form that is on the web site. We welcome visitors to our Northwest Kennel anytime and look forward to meeting you.